Hearing likely to be in first half of 2013! 15 January 2013 Comments (0) . The hearing will take place on Tuesday, 29 January, at London’s International Dispute Resolution Centre where a tribunal will also consider an application from FRC executive counsel Gareth Rees seeking to amend the formal complaint against Rollason. In December, the FRC filed the complaint against Rollason, an ICAEW member who was chief executive of European Homeware Retail plc (ERH) as well as on the board of subsidiary Farepak at the time the group collapsed with debts of £37m, leaving 120,000 customers out of pocket in the run-up to Christmas 2006. The complaint alleges that he failed to act in accordance with the ICAEW ethical code which requires members to behave with integrity in all professional and business relationships. In particular, it charges him with drafting and distributing a memorandum to his fellow directors at EHR on 2 February 2006, which he knew was misleading and did not reflect EHR’s financial position. He also signed a letter on 7 February 2006 on EHR’s behalf to Farepak stating that EHR would continue to support Farepak to enable it to meet its liabilities as they fell due, which he knew was misleading. And he signed Farepak’s financial statements for the period ended 28 April 2005, which, the FRC alleges, he knew were misleading because they stated that EHR would continue to support Farepak to enable it to meet its liabilities as they fell due and accordingly the going concern basis had been adopted for the financial statements. Last June, the Insolvency Service decided to discontinue its legal battle to disqualify Rollason and six other former Farepak board members from acting as directors, a move business secretary Vince Cable described at the time as “disappointing”. The former executive is asking for his case to be struck out. Appearing on Rollason’s behalf , QC Michael Green said that it was “extraordinary” that the regulator should continue against him when he had been exonerated last year in the High Court, and considering it had dropped similar allegations of dishonesty against two former colleagues, Farepak finance director Stevan Fowler and Stephen Hicks. Rollason is accused of failing to act with “integrity”. The FRC says he sent a memo in February 2006 to fellow directors at EHR which he “knew was misleading and did not reflect the financial position” of the company. The FRC also says he signed a letter the same month to Farepak saying EHR would continue to support Farepak to “enable it to meet its liabilities as they fell due” which the FRC says he knew was misleading. Finally, the FRC says Rollason signed financial statements for Farepak for the period ended 28 April 2005 which he “knew were misleading” because they committed EHR to supporting Farepak in meeting its liabilities. Accordingly, the FRC says, the going concern basis was adopted for the financial statements. The collapse of Farepak just before Christmas 2006 left almost 120,000 customers out of pocket by a total of about £37m. Farepak went into administration when EHR could not secure a loan from its creditors. Later it was revealed that EHR was using money from Farepak’s customers to lend to other parts of the business. Rollason and six other executives, including Hicks and Fowler, were taken to court by the Insolvency Service in June last year. It was seeking disqualification orders against them; however, after several days of evidence, it announced that the proceedings had been discontinued on the advice of council. The decision, it added, had been based on consideration of evidence given to the court. According to Green today, the evidence provided by the investigator who interviewed Rollason and other directors had been undermined. In Rollason’s case, she was forced to agree in court, for example, that the memo she had construed as misleading actually contained Rollason’s strategic approach to negotiating with retailers. It also put the board on notice that the issues were serious. In fact, the only complaint that could be held against Rollason in the end was that he did not call a board meeting to approve the accounts, something which the judge said was so minimal that it could not give rise to disqualification proceedings. Indeed, in a highly unusual move the day after the case was discontinued in June, the judge made a statement about the case. “The directors of the companies,” he said, “have received a huge amount of criticism over their conduct. The depositors believed that the directors were responsible for their losses and that this trial would explain how they came to lose their money and what role the defendants had in that loss. He laid part of the blame at the door of HBOS, Farepak’s bank, which was “not prepared to provide any significant positive assistance to solve the difficulties the group came into”. In fact, he said, he felt HBOS should make a further “substantial” contribution to the Farepak distress fund (it had already made an ex gratia payment of £2m): It seems to me that what happened there, whilst apparently legally acceptable, might not be regarded in the public’s eyes as being acceptable.” A month later, HBOS added a further £8m to the fund. When the FRC first issued its allegations of dishonesty against the accountants involved in Farepak, the three, Rollason, Hicks and Fowler, faced almost identical charges. However, last September, the FRC dropped one complaint against Rollason and Hicks in September last year and then in October it dropped the rest of the complaints against Hicks and Fowler. The only remaining charges are against Rollason which, said Green today, is “extraordinary”, especially as the FRC has not come up with any explanation why. He urged the tribunal to throw out the case not just because it would be retrying old evidence that had already vindicated Rollason but because the FRC’s approach was “inconsistent and discriminatory”. The FRC will present its case on Friday. Rollason was accused by the Financial Reporting Council (FRC) of failing to act in line with professional standards in the run-up to the collapse of Farepak just before Christmas 2006. The crash left almost 120,000 customers out of pocket by a total of about £37m. The hearing was due to begin late last week but the parties reached a last-minute agreement, the details of which were kept secret until today so each side could prepare arguments for proposed sanctions. The deal turned on abandoning the accusation of “dishonesty” and dropping one of the three original allegations. Rollason admitted misconduct and recklessness. The FRC alleged that he failed to act in accordance with the ICAEW ethical code that requires members to behave with integrity in all professional and business relationships. In particular, drafting and distributing a memorandum to his fellow directors at EHR on 2 February 2006 which he knew was misleading and did not reflect EHR’s financial position. He also signed a letter on 7 February 2006 on EHR’s behalf to Farepak stating that EHR would continue to support Farepak to enable it to meet its liabilities as they fell due, which he knew was misleading. And he signed Farepak’s financial statements, which, the FRC alleges, he knew were misleading because they stated that EHR would continue to support Farepak to enable it to meet its liabilities as they fell due. The FRC made clear it did not argue that the actions in any way caused the collapse of Farepak as there are “too many hypothetical situations to consider”. Counsel for the FRC Patrick Lawrence QC said that Ronaldson “made light” of the allegations, but that he had “fallen short” of the requisite standard of “utmost integrity”. Farepak went into administration when EHR could not secure a loan from its creditors. Later it was revealed that EHR was using money from Farepak’s customers to lend to other parts of the business. In August this year, creditors received a final payout from joint liquidators BDO of 32p in the pound, which brought the total dividend payment to approximately half of what they were owed. According to Rollason’s counsel Michael Green, the FRC had given a “fairly one-sided” recollection of the events. He said an earlier suggestion made by the executive counsel that there was a “thin line” between recklessness and dishonesty “undermined the tenor of the whole agreement”. “He does sincerely apologise for the misconduct. He has been put through the mill for the last seven years. It has been a long journey in which he has been continually under investigation despite being cleared by the High Court,” he added. The FRC proposed that the appropriate sanction should warrant a severe reprimand, a £50,000 fine and costs of £50,000. It claimed that as Rollason has property abroad worth an estimated £600,000 in total, he could afford the payments. Green, however, argued that his client was “extremely stretched” and in a “desperately difficult situation financially”. Disagreement between counsels arose over the discussion between the parties in the lead-up to the last-minute deal last week. The FRC initially contended that Rollason should only receive a “small discount” on any penalty, owing to his unwillingness to make any concessions, when offered, at earlier stages of the process. However, Green argued it was only when the FRC agreed to remove the charge of dishonesty did the “door open to settlement”. There was also unresolved discussion over the issue of Rollason’s insurance, and whether it would cover his costs. Green said it was currently “unclear” if it would, while Lawrence argued that in the time leading up to the hearing such information should be made available to the tribunal. Rollason is the only accountant to face a full disciplinary tribunal hearing in connection with the Farepak collapse. The FRC dropped charges against two other accountants – one a CIMA member and the other an ICAEW member – last September. The tribunal contained members David Blunt QC (chair), George Bardwell (lay member) and Christopher Whittington (ICAEW member) and was held in London’s International Dispute Resolution Centre. THE FINANCIAL WATCHDOG has reprimanded the former chief executive of Farepak's parent company. The Financial Reporting Council (FRC) has reprimanded Farepak director William Rollason, who was also CEO of its parent company. ICAEW-qualified Rollason was CEO of European Home Retail and was accused of failing to act in accordance with the institute's ethical code, allowing his conduct to fall short of the standards expected of members. Rollason will not be excluded but, he has been "severely reprimanded" - an official label that he must disclose to all current and future employers. He will also have to pay a £15,000 fine and pay a £50,000 contribution towards the FRC's costs. A settlement was agreed where he accepted that he acted recklessly, in a way that was contrary to the fundamental principle of integrity as set out in the ICAEW guide to professional ethics. He accepted that he had drafted and distributed to his fellow directors a memorandum which could mislead as to the true financial position of the business. He had also signed a standard form letter to Farepak on behalf of EHR claiming it would support Farepak in meeting its future liabilities, knowing the auditors would rely on this information for the 2004/05 financial statements. The letter could have misled as Farepak's parent company had failed to provide support in a previous instance. Rollasons was found to have not acted dishonestly in either drafting and distributing the memorandum, or in signing the letter. Gareth Rees QC, the executive counsel to the FRC, said: "The FRC is pleased with the outcome of this case. This case shows the high level of integrity expected from chartered accountants who take up executive positions in business. "It is vital that chartered accountants in business comply with good governance to ensure the accuracy of financial statements." 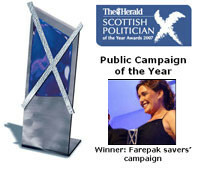 Farepak collapsed in 2006, depriving more than 100,000 customers of their Christmas savings. A case against the directors brought by the Insolvency Service, earlier this year, collapsed after the presiding judge blamed Farepak's bank, HBoS, and not the directors. The bank, now part of Lloyds, donated £8m to the Farepak compensation scheme. Farepak collapsed owing more than £40m after its parent company, European Home Retail, went into administration in 2006. BDO liquidators Martha Thomson and Dermot Power were appointed to Farepak in 2010 with unsecured creditors such as the customers due to receive about 32p for every pound owed. Ernst & Young is due to face a similar proceeding from the FRC, for its role as auditor of Farepak. A preliminary hearing to set a tribunal date and a tribunal hearing are both due later this year. In an FRC document (attached) dismissing a request to have the complaint against Rollason struck out, it was revealed that the tribunal had formally dismissed complaints against EHR group FD Stevan Fowler and Farepak FD Stephen Hick in November 2012. He got off lightly with a £15,000 fine!!! I think a bit of both John. Agree with David, bit of both! A betting business previously run by Farepak boss William Rollason has collapsed owing customers hundreds of thousands of pounds. About 100,000 savers, many from Wales, were unable to access their Christmas cash after Farepak took £38m in deposits from struggling families in 2006. Now punters who used gambling firm BetButler – which the accountant ran with co-director Andy Hosie until this year – are wondering whether they’ll ever see their winnings. The internet company collapsed with half a million pound in debts after months of complaints. Farepak Victims Committee secretary Deb Harvey, from Newport, has written to business secretary Vince Cable demanding 53-year-old Mr Rollason be investigated. “It was right way back in 2006 when it all went belly up and I said these people are not fit to hold any title in any business of any kind,” Ms Harvey said. Mr Justice Smith exonerated Farepak’s directors saying the company could have been saved by a loan from HBOS. Complaints from angry punters about BetButler started appearing in The Gambling Times’ online forums months ago. “Just under £800 requested 26th Feb still waiting for card payment,” Zenmaster said in March. Joffyy was waiting for £750. “Still not received after two phone calls in which I was told it would be chased up and I would receive an e-mail,” the gambler said. Mr Rollason was listed as director of BetButler until January. He is still a director of its parent company BetClearer. The Gambling Commission has now revoked BetButler’s license. “Andy is sole director of BetButler and ran all the promotions and marketing ideas,” he said. He insisted everyone who had won money with BetButler would get paid. “BetButler’s customers and their balances have been sold to Momaco who will honour their balances and no-one will lose any money,” Mr Rollason said. Momaco rep Mark Craig said the company had bought BetButler’s client list for £1 and was waiting for a UK gambling licence. “We rushed a deal through after BetButler went out of business in August,” Mr Craig said. Andy Hosie could not be reached for comment. A BetButler spokesman said the directors were working to ensure customers would get cash owed through the deal with Momaco. “In April they had £3m of customer funds on their books,” he said. Willie the company killer strikes again.